Darby Karchut's YA fantasy novel, Griffin's Fire, recently won the 2012 Readers Favorite Book Reviews and Award Contest Bronze Medal in the Young Adult/Coming of Age category. The first book in the series, Griffin Rising, was the 2011 Sharp Writ Young Adult Book of the Year. Griffin's Fire (ISBN 978-1606192122, 200 pages, trade paperback) was published by Twilight Times Books in April 2012. Her websites are at www.darbykarchut.com or www.darbykarchut.blogspot.com. You can find her books at all major bookstores and in many independent bookstores. Forced to become mortal, ex-teen angel Griffin has been banished from the Terrae Angeli. Struggling to adjust, he enrolls in the heaven-and-hell known as high school. It quickly proves to be a battleground, complete with a malicious math teacher. Caught between school, Sergei, and a desperate secret, Griffin is certain of one thing: the only way to fight a Cold War is with Fire. Darby Karchut is an award winning author, teacher, and compulsive dawn greeter. She lives in Colorado Springs, Colorado, which is the setting for both of her series for young teens. This Friday is the seventh annual Author Fest of the Rockies, held in Manitou Springs. This is the first year Author Fest has been a standalone production, no longer associated with the Manitou Springs Public Library District. Pikes Peak Writers is proud to be a partner in this year's Author Fest. From behind the scenes help to speakers and special events, it's been a delight to be a part of this wonderful annual event. Intended for both readers and writers, this is a unique event that takes a full conference and makes it friendly to anyone interested in books, not just those who write them (or hope to). Author Fest will be held Friday, September 28 and Saturday, September 29, from 9am to 4pm both days. The cost is $75, covering both days' programming, as well as breakfast and lunch. It's located at the Business of Art Center, 515 Manitou Avenue. See the website for more location information, including free parking locations. The keynote speakers are Stephen Coonts, Stephen Graham Jones, Barbara Wright, Barbara Samuel O'Neal and Jessy Randall. A phenomenal lineup! Long-time member of the Pikes Peak Writers Board of Directors, Bonnie Hagan, will share tips, tricks and tidbits for getting the most out of a writer's conference. BONUS MATERIAL: as Director of the 2013 Pikes Peak Writers Conference, Bonnie has agreed to share a "sneak peek" and reveal exciting information about her plans for the next PPWC. National Novel Writing Month (NaNoWriMo) is coming up fast. Are you ready to write 50,000 words in thirty days this November? This intensive workshop will help set you up for a successful NaNo experience whether you're a first-time participant or seasoned veteran. Topics include goal-setting, scheduling, plotting/planning techniques, character exercises, and a host of tips and tricks to keep you from getting stuck during your thirty-day writing spree. Bring a pen and paper to take notes and do writing exercises. Should you be in a critique group? What are the options? What are the dangers? Learn how to choose a group or create one, as well as the types of rules and safeties that should be in place to ensure the group stays positive and professional. After the discussion, Deb and Mary Karen will demonstrate appropriate, constructive critiquing in an “open critique” forum. Attendees are encouraged to bring the first page of their work-in-progress for the opportunity to receive feedback. Finally, there is a free book signing on Saturday from 2:30 to 4pm. You do not have to be a conference attendee to attend this signing, and it's free. You can purchase books directly from the conference to get signed, if you like. For more information, you can visit the official Author Fest of the Rockies website at www.authorfest2012.org. Will you be attending the Author Fest? About the Writer: Shannon Lawrence is a mom of two, a freelance writer and aspiring novelist. She lives in Colorado Springs and is inspired by the beauty of Pikes Peak and the Rockies. After years of letting her writing fall by the wayside, she has recently thrown herself back into it. Her main focus is fantasy and horror and she has just finished a Young Adult Fantasy novel. She has a flash fiction piece featured in the anthology Sunday Snaps: The Stories, due out in late October 2012. She has also discovered a love of photography and enjoys photographing the breathtaking Colorado scenery and wildlife, as well as her children. She blogs about reading, writing and photography at www.thewarriormuse.com. Point of View is a tricky thing. The popularity of each approach varies over time. First person (especially in Young Adult books) and deep 3rd person have the benefits of connecting directly to the reader and drawing on empathy early to maintain that sense of personal-stakes-in-the-conflict (when done well with a fascinating character). In the current reading climate I vote for a novel limited to one POV in a scene, if not chapter, if not entire book. In my own books, I've mixed it up. I've used a single 3rd person POV in an entire book, 3rd person alternating (every other chapter) between two characters, and a more complicated method of three POVs - two of them 3rd person protagonists and one 1st person serial killer. I tend to have a personal theme running through my books that is essentially: "The bad guy is a misunderstood good guy." That requires that I paint skin-crawling, dangerous bad guys that have motivations that can be understood and even sympathetic to the good guy and reader by the end. This is particularly tough to pull off with a character that kills, but being deep inside the antagonist and slowly revealing the cause of his/her behavior is easier to pull off using very deep 3rd person or 1st person. It is a challenge, for sure, the reason I didn't attempt it until my fourth book. If we decide to change Points of View within a scene, each change in POV needs to be handled so deftly that it is a huge challenge (or more simply handled with a drop down as a signal). Rarely can a writer pull off abrupt changes in POV with no signal. Omniscient is still used, as is 2nd person and present and future tense, but they often fall into the experimental category now rather than popular fiction. I frequently catch slips of POV in popular fiction, but in the context of deep 3rd person POV it is often ignored, forgiven, or missed by readers (unless they are also writers or editors who are trained to flag the slips - you should see me putting sticky notes into novels - sometimes it is a curse to be an editor). It isn't a cardinal sin, just head-bouncing if done frequently. And editors give less leeway to new writers - thus my seeming obsession over it. In the spirit of "exceptions proving rules," if you'd like to see every writing guideline broken in an amazing, magnetic and shocking way, capturing even the Pulitzer Prize, take a luxury dip into TINKERS by Paul Harding. If I tried my entire life, I couldn't do what he did. I believe devoted writers, on the other hand, could do something off the beaten track after 100% mastering the more accessible POVs. A strong writing voice would carry the reader over the waves of atypical craft - not because it is easy to read, but because it is poetry to the heart. TINKERS may have still worked and had a wider readership if Harding had stayed within today's expectations. We can't know for sure. Do you have any favorite books that break POV "rules" successfully? DeAnna Knippling's science fiction short story, "The Third Portal," won first place in the Parsec, Ink 2012 Short Story Contest. The story was printed in Confluence Program in July 2012 and appears in the Triangulation: The Morning After anthology edited by Stephen V. Ramsey. The author's website is at www.DeAnnaKnippling.com; you can find her books at all major online bookstores and via www.WonderlandPress.com. You guys know the scene. Distraught writer sitting in a pool of light from her laptop in the pre-dawn darkness. Tap, tap. Pause. Tap. Pause. PAAAAAUUUUSE. Sigh. Shift. Sip coffee. Tap, tap. Rinse. Repeat. I had to drag every single syllable from the basement of my brain with bowling balls attached to them. Time slid by and the word count flatlined. The dog—the relentless, demanding, who-agreed-to-dogsit-a-beast-with-a-morning-walk-routine, dog—stood in front of me wagging her tail, panting and making it plain the walk deadline had arrived. Timber clearly didn’t understand my dilemma. Nora needed to be in the empty farmhouse in the middle of the night so the villain could pull a gun on her. But how was I going to get her there in a plausible—or at least plausible in the mystery world—way? Time was running out. Not for Nora, but for me, who has a regular life and day job and a word count woefully unfulfilled. Sentient beings can be so distracting and inspiration so illusive. I slapped the laptop closed, dressed, and in a grumbling fit of impatience, rounded up my snowshoes, poles, and the gators hiding at the very bottom of the winter accouterments box where I’d tossed them last spring. We had the first big snow dump of the season the night before and I was not looking forward to trudging through a freezing forest in the gray dawn. Not. At. All. Timber, on the other hand, was ecstatic. She raced ahead, dodged trees, dug and scooted and zoomed, acting way more like a puppy than the her fourteen years on this Earth would belie. The crisp air started to blow away the heaviness of my mind. I laughed at Timber’s antics and bypassed the short loop, deciding my plotter’s brain needed fresh air and exertion to problem solve. Natalie Goldberg, among others, recommends walks to jumpstart inspiration. My solution rested just beyond that snow-crusted pine. The sun burst through the morning clouds sparking snow diamonds and dazzling the forest around us. I spent so much energy I had endorphins dancing through my system all day. And I felt good. No more grumpy-gloomies. I know you were all expecting that when I found my inner-puppy the answer to my plot tangle would miraculously present itself. It didn’t. But I was a better human being for letting go of the frustration and gaining clearer perspective. The words won’t come by damming myself with a wall of frustration. Even if the floodgates don’t open because of my commune with nature and Timber, I’m sure my coworkers and the Man With Endless Tolerance (MWET) were pleased with my improved attitude. It wasn’t until much later, while sitting in the hot tub listening (or making a face as if I were listening) to MWET discuss the pros and cons of refinancing and the likelihood of renting as opposed to selling, I had my Eureka! moment. Perhaps my slacker imagination enjoyed the mini vacation and coughed up the nugget I needed as reward. Probably not. At any rate the romp in the snow didn’t hurt and it might have helped. What about you? What do you do when the words won’t come? 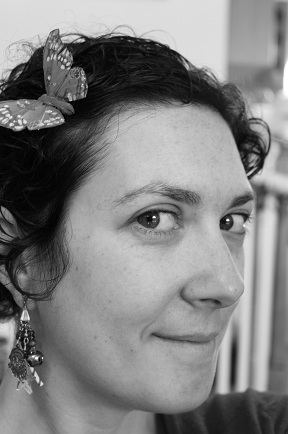 About the Writer: Shannon Baker has a right brain/left brain conflict. While the left brain focuses on her career as an accountant, her right brain concocts thrillers, including her 2010 release, Ashes of the Red Heifer. A lover of mountains, plains, oceans and rivers, she can often be found traipsing around the great outdoors. The first book in the Nora Abbott Mystery Series will release in the March 2013 from Midnight Ink publishers.